This is a Britain First media release. Read the conditions of the injunction in the bulleted list below. This is the kind of thing Progressives like John Key and his Nats and their so called opposition in the Labour Party would do here if they had the opportunity and the Harmful Digital Communications bill is the start of it. Entering any mosque or Islamic Cultural Centre or its private grounds within England or Wales without prior written invitation. Publishing, distributing or displaying, or causing to be published, distributed or displayed any words or images, whether electronic or otherwise which having regard to all the circumstances are likely to stir up religious and/or racial hatred. Using threatening, abusive or insulting words or behaviour thereby causing harassment, alarm or distress to any person. The police were also given the power of arrest should either party breach any of the terms of the injunction. The High Court dismissed the banning from Luton injunction and Britain First were allowed to march in Luton without fear of reprisals. The march passed off without incident, though you will see at the end of the video that Paul wasn’t happy that they were forced to return a different route – which meant negotiating a large angry mob who had gathered by the station. As I waited for my train, this mob were still screaming abuse half an hour later and I do not currently know if police managed to contain them. 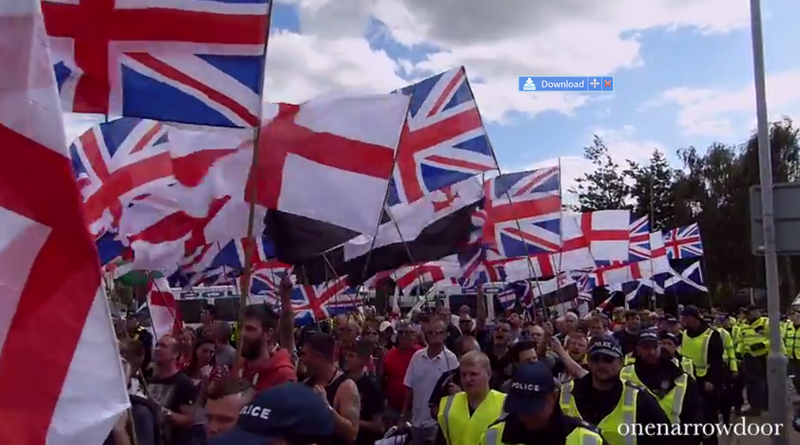 Regarding conditions of the ‘interim’ injunction, a further hearing will be held at a future date and could still have serious repercussions for both Britain First and the EDL. Youtube video of the march here. Islamic migration is achieving what no military effort possibly could. Sorry, but you can’t replace dying white baby boomers, who have worked their whole lives, and paid taxes, by importing Third World Mohameddans, barely able to read and write their own language, who can only survive in the UK/France/Sweden/Netherlands/etc by the welfare system. These are problems that are not going to die out over time, rather the opposite. No wonder people are concerned. We are so badly betrayed by these political class scum.